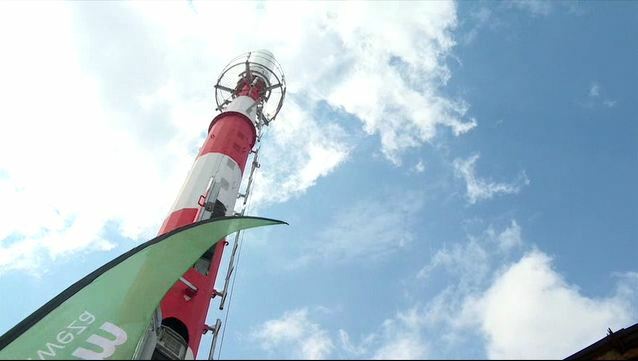 Safaricom Trials New Base Stations for Urban Areas – Kenyatta University TV (KUTV). All Rights Reserved. Telecommunication giants, Safaricom Thursday, began trial of a new and innovative network coverage technology aimed at enhancing coverage in urban areas. Known as the TubeStar Base Station, the solution replaces the standard tower base station with a tubular structure that occupies up to 75 per cent less the land typically required. In addition, the TubeStar eliminates the need for a compound and perimeter wall around the base station by incorporating all equipment within the tower structure.